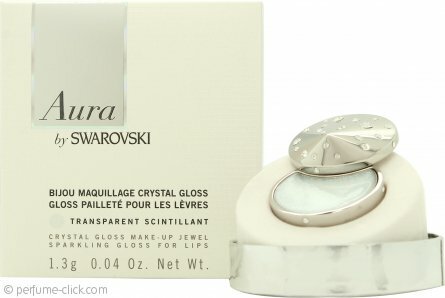 Aura by Swarovski is a collection of cosmetics and fragrances. The fruity and floral fragrance for women is inspired by the magic of Swarovski crystals; the opening combines floral notes of rose with shades of juicy litchi. The heart is made of tuberose that emphasizes the femininity of the perfume, and the base is warm and seductive with notes of creamy musk, amber, benzoin and a pinch of pink pepper that tickles the imagination. This luminescent and charismatic scent was created by Jean-Pierre Bethouart and Olivier Cresp. It encloses the essence of the crystal from which it draws inspiration and reflects the values of the Swarovski brand. Aura is presented in a beautiful glass and metal bottle with an asymmetrical Swarovski crystal on the top; this has been designed by the renowned interior and product designer Gwenaël Nicolas. Aura by Swarovski was launched in 2011.